Which offering will institutional and individual investors find the most attractive? Both web conferencing company Zoom and social media outlet Pinterest filed for IPOs in the last few days. Which is going to be greeted the most warmly by investors? Pinterest is twice the size of Zoom, has a much larger valuation, and boasts greater name recognition. However, Zoom recently turned a corner and became profitable, and it serves the lucrative enterprise market. As to similarities, both have a CFO who was hired in the last couple of years and has deep tech industry experience, including in the specific markets their companies target. Like many other tech companies, both also are going the dual-share class route, possibly to the disappointment of some investors. Class A shares will receive one vote per share, while Class B shares will receive 20 votes per share. Product: Remote conferencing services, web video conferencing. CFO. 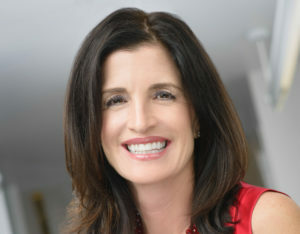 Kelly Steckelberg was appointed finance chief in November 2017. She was controller and then CFO of the Cisco’s WebEx division from 2006 to 2010 before taking on the top finance role for Cisco’s consumer segment. In between Cisco and Zoom, she served as finance chief and then CEO of Zoosk, an online dating site that also offers a popular dating app. Steckelberg is not a “named executive officer,” so her salary and bonus are not disclosed in Zoom’s S-1. Earnings. Zoom posted $330 million in revenue in the year ending January 31, 2019, a doubling of fiscal 2018’s revenue. The company posted a $3.8 million net loss in 2018, but so far in 2019, it has posted a profit of $7.6 million. Funds Raised and Ownership. Zoom has raised $160.7 million in the private markets. Pre-IPO, Emergence Capital owns a 12.5% stake, according to the S-1. Other investors include Sequoia Capital (11.4%); Digital Mobile Venture (9.8%); and Bucantini Enterprises Limited (6.1%). Competition. Webex, Skype for Business, Google, and LogMeIn. The introduction of Zoom Phone may lead to competition with PBX providers, the company said. CFO. CFO Todd Morgenfeld was hired in October 2016. He had a brief stint at Twitter as vice president of finance. 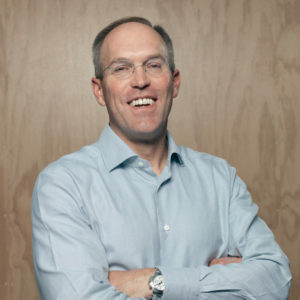 His previous positions include senior vice president, treasury, financial analytics, and corporate development at Hewlett-Packard and director at Silver Lake Partners. According to Pinterest’s S-1, Morgenfeld is earning a base salary of $360,500 for 2019, as well as stock awards worth $22 million. Earnings. Pinterest generated $756 million in revenue in 2018 for a net loss of $63 million. Revenue grew 60% from 2017, when the company posted a loss of $130 million. Funds Raised and Ownership. Pinterest has raised nearly $1.5 billion in the private markets. It was last valued at $12.3 billion in 2017. Major shareholders include Bessemer Venture Partners, Andreessen Horowitz, and FirstMark Capital, each of which owns more than 5%. The S-1 filing didn’t disclose the ownership percentage of Ben Silbermann, Pinterest’s CEO. Competition. Google, Snap, Twitter, and more specialized media companies such as Allrecipes, Houzz, and Tastemade.